The deadline for the latest round of pitches to Bite on Mondo is just around the corner. 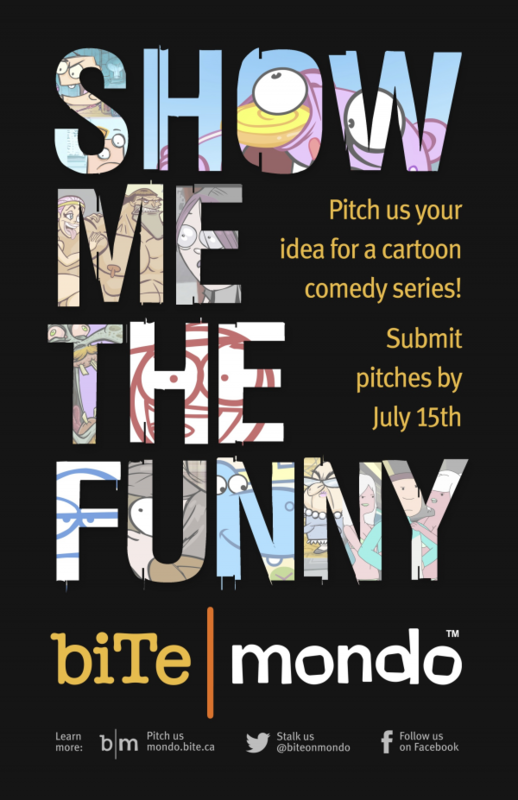 If you think you’ve got it in you to make a cartoon for the Mondo crowd, get it out of you by July 15th. And here’s a few of the cartoons that have come out of the program so far. This entry was posted on Friday, July 4th, 2014 at 5:36 pm	and is filed under News. You can follow any responses to this entry through the RSS 2.0 feed.